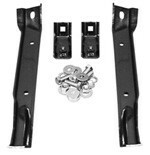 Replace your Chevy or GMC Trucks rusted or bent bumper brackets with a brand new reproduction set from USA1 Industries. 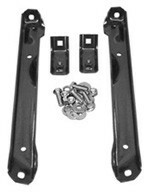 Hex head bolts used to attach the bumper brackets to the frame of your truck. Includes washers and nuts. 4 bolt set. Replace your Chevy or GMC Trucks missing or rusted bumpers with these chrome plated reproductions. USA1 is now offering the highest quality premium chrome front bumpers on the market today. USA1 is now offering the highest quality premium chrome front bumpers on the market today. This bumper also fits your 1967-68 GMC models. USA1 is now offering the highest quality painted front bumpers on the market today. 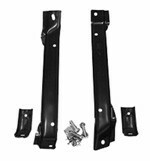 This bumper also fits your 1967-68 GMC models.